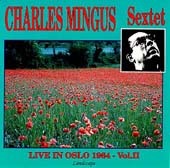 The European tour including Scandinavia of the Charles Mingus sextet began in Amsterdam on 1Oth and ended in Stuttgart on 28th	April 1964 after the problems that we know about: Eric Dolphy announced that he was going to leave the group to set himself up in Europe (Stockholm concert on the 13th) and the sickness of Johnny Coles (Paris, Salle Wagram on the 17th) which forced him to abandon the tour and Mingus to review the arrangements. 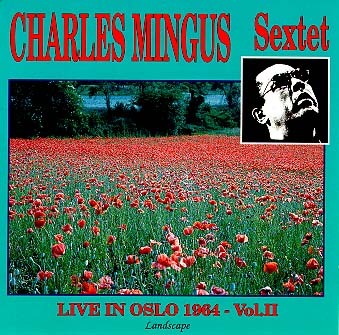 During these concerts, the repertoire changed slightly, as well as the order of playing of the soloists, but also a mark of the genius of this revolutionary music rooted in Blues also made Mingus a formidable catalyst communicating his energy, the music differing on each occasion and always of the highest quality (this was clearly the most talented group he ever has led). Here, in Oslo (Volume I and 2), one discovered the preference of a composer/leader/ instrumentalist for unexpected variations of tempos, the rhythmic passages clearly cut off by a sudden and	perfect resumption of the theme and tempo, sometimes doubled or indeed faster, this perfected spontaneity in his "open" works where each portion magnifies the personality of the soloist. Note that in volume 2, this homage to the Master Ellington is shown via the intervention of a particularly enthusiastic version of "Take The "A" Train" (the "stride" passage by Jaki Byard, the "drive" of Dannie Richmond, the collective "madness").